Driving through the desert southbound to Joshua Tree National Park the high winds in Las Vegas were explained. The sand storm could be seen in the distance becoming more and more intense the further south I drove. Traffic was very light, for miles practically nonexistent. At times the wind gusts would shake the car underscoring my driving inexperience in desert sand storms. I wondered whether or not it was a normal occurrence or an anomaly. One thing was certain; it made the trip undeniably stressful. The route took me through the Mojave National Preserve passing through Cima and Kelso. The latter,a ghost town and a defunct railroad depot in the San Bernardino County. The views are both stunning, dramatic and desolate in an environment that seems to have sat still in time! Crumbling structures being consumed in abandonment dot the roadside landscape. The Kelso Dunes, the largest sand dunes in the United States, is one of the landmark attractions in the Mojave National Preserve giving visitors ample opportunities for self-reliant and challenging outdoor activities. Certainly one more for my bucket list. South of the Mojave National Preserve, on the historic Route 66 with a population of roughly 2,000 people, Amboy was probably where I should have taken a rest break and I didn’t. I probably continued to drive both because I wanted to get to Joshua Tree National Park as early as possible and because in all honesty, Amboy has that dreadful ghost town feel. As a matter of fact, it is advertised as the “the ghost town that ain’t dead yet”! Throughout my road trip my primary goal was to visit and hike at National Parks, but I kept a journal of scenery and towns that I saw along the way. They are places that caught my eye, imagination and curiosity; Amboy is one of them and falls on list of places to visit. 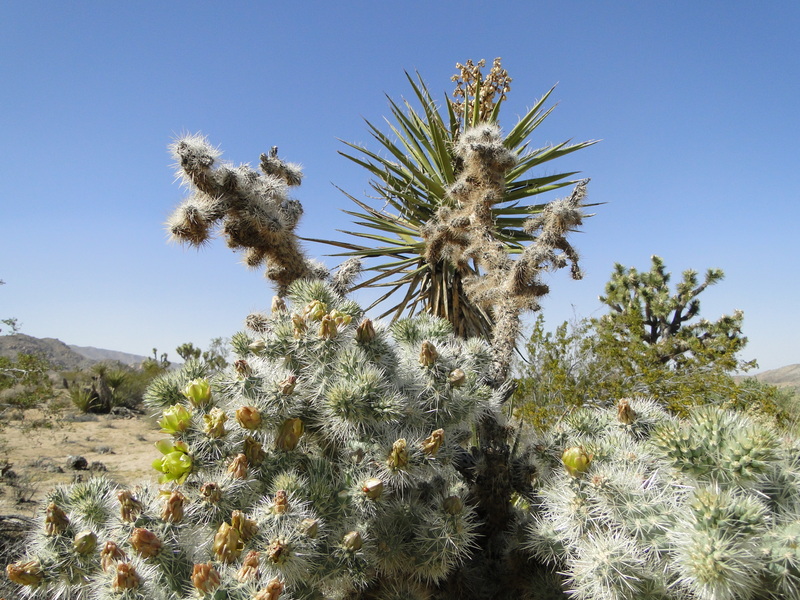 However, the reason I should have stopped there is because it was the last sign of civilization that I came across until I was close to get in the north entrance of Joshua Tree National Park. At the first gas station, one of those that have only two pumps, westbound on Route 62, I stopped to get gas and use their facilities. The wind was blasting so strongly that it kept pushing my body against the car while I filled up the tank. A a couple of minutes later and inside chatting with the attendant, she told me that it was one of the worst sand storms they were having so far this year. Lucky me, I thought, not yet knowing what that meant for my plans for the day. 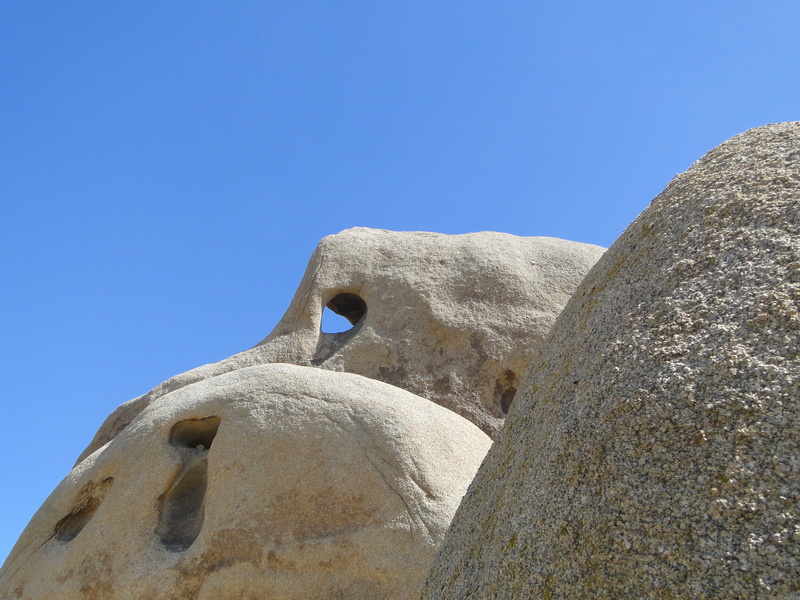 At the Joshua Tree National Park visitor center, I learned that Indian Cave, Ryan, Belle, and Jumbo Rock campgrounds were all full. 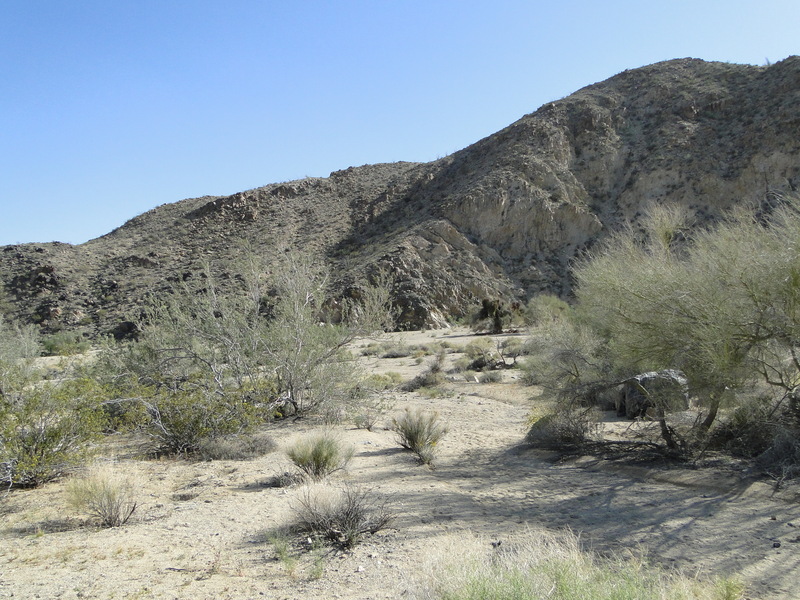 The suggestion given to me was to drive to Cottonwood Campground about over an hour drive, which meant crossing the park in the north-south direction toward the south entrance by highway I-10. Knowing that camping at the park was close to impossible at that point, I decided to enjoy the day as much I could doing a short hike instead. 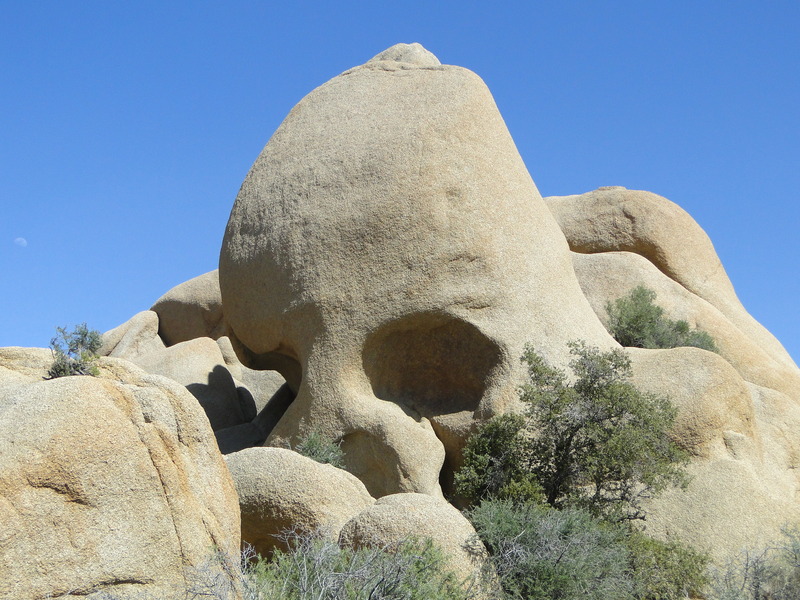 I headed to Skull Rock, the iconic granite rock formation with the two eye sockets that resemble a skull. 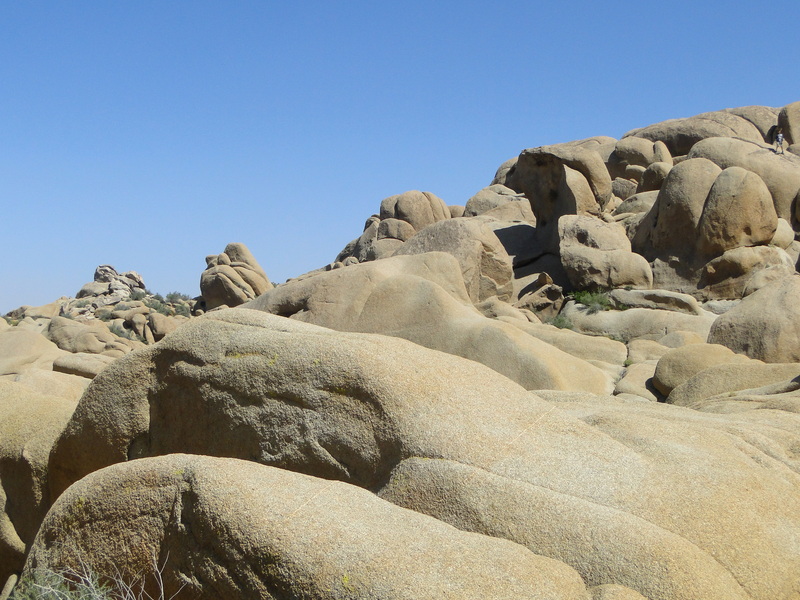 The Skull Rock & Jumbo Rocks Trail was a good short hike for the day given the fact that the terrain is basically solid granite rocks and there was not a lot of sand being blown in the air despite strong winds. In a not too far distance clouds of sand could be seen rolling south of the Skull Rock site. This trail is a two miles loop with an elevation gain of only 108 feet with a moderate degree of difficulty. The scenery is breathtaking! 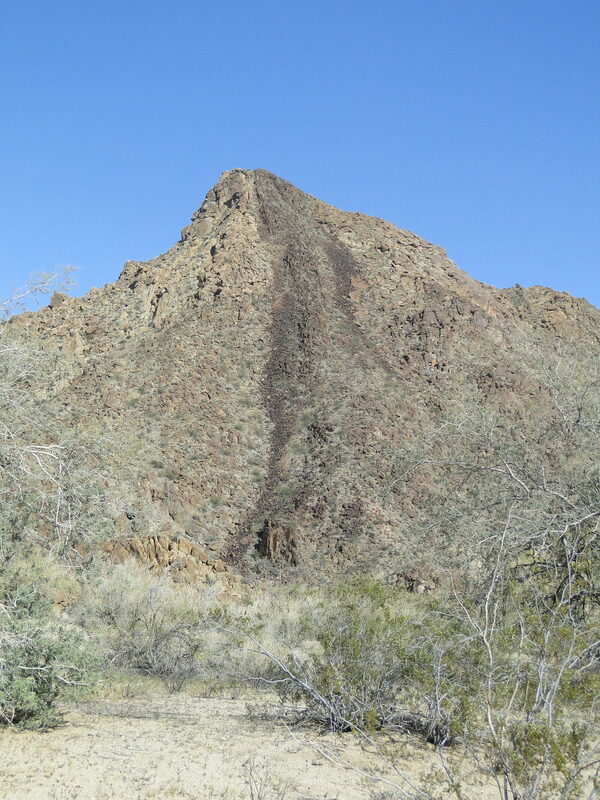 The terrain is rugged with a few jagged sections. 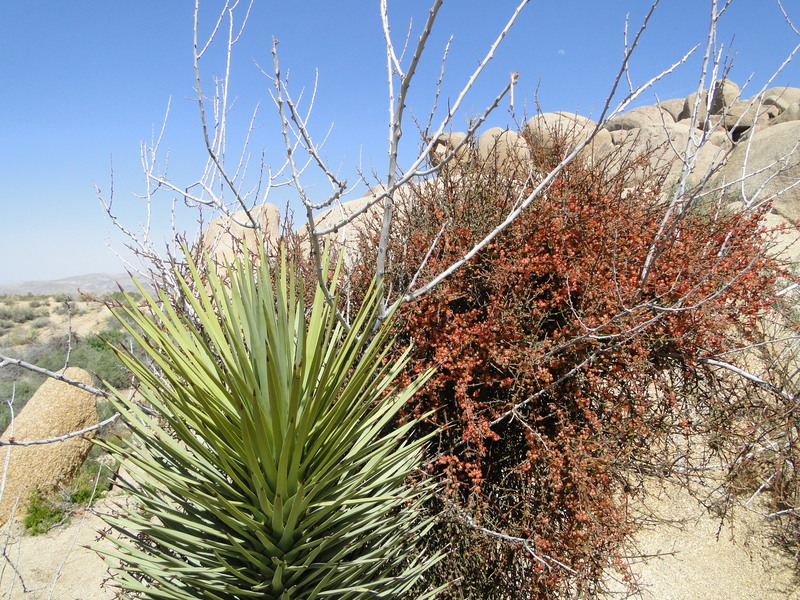 However, contrary to the popular idea of a desert landscape, it is far from being barren. 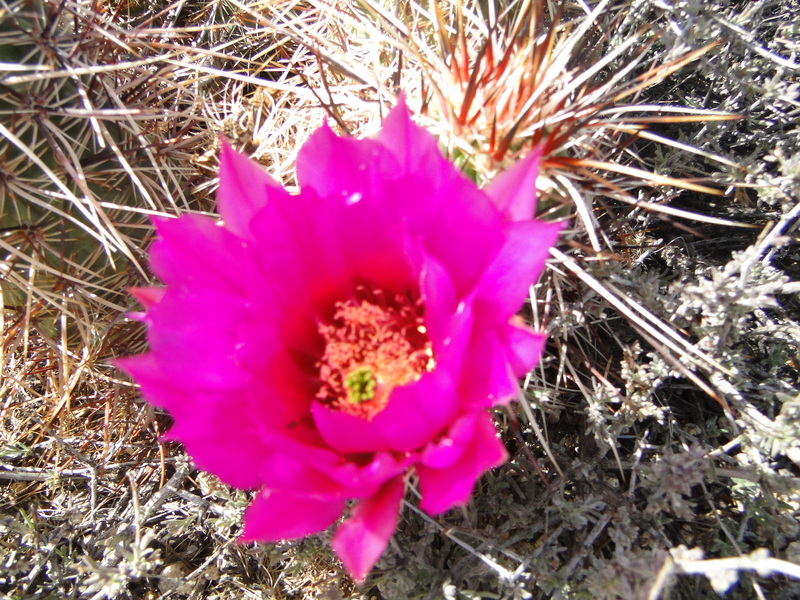 Astounding radiant fuchsia cactus blossoms standout along the way, contrasting with the pale sandy soil. Life springs out of small crevices in the rocks and bloom with intensity in a delicate and fragile ecosystem where every single element, no matter how small, plays a critical role the entire system and cycle of life. On my way to the south entrance of the park I made a few stops along the way at the exhibits, which are plaques describing the nature of the landscape and formations. The closer I got to the south entrance of the park, the windier and dustier it became. Without a tripod I could barely hold still to photograph the scenery around me. The amount of sand swirling around was insurmountable. It was then that I realized that even if there were campsites available at the Cottonwood Campground, I probably would not be able to pitch my tent as the force of the wind was such that it shook the car even when it was parked on the road side. 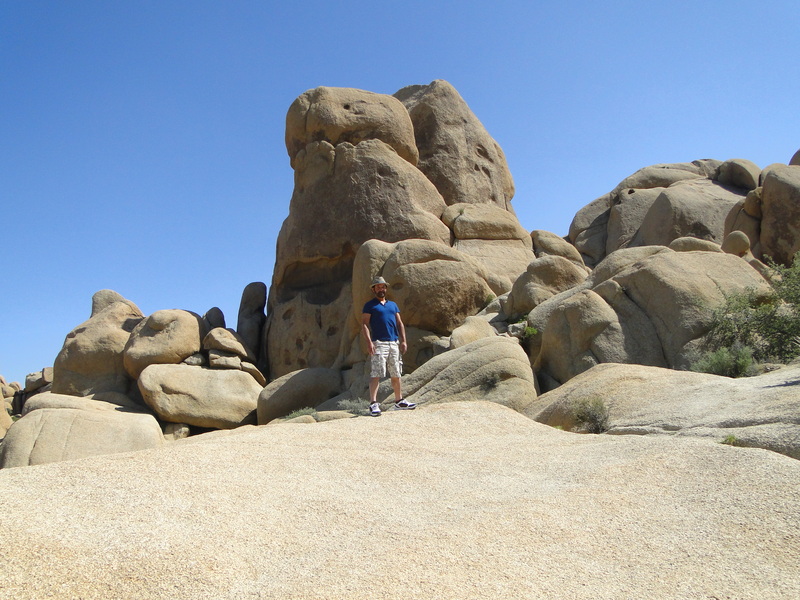 Since I had planned to spend a couple of days at the Joshua Tree National Park, by not doing so I was sort of ahead of schedule. Although I did not have a schedule, properly said, I had arranged to arrive in the San Diego area in two days. Basically I was heading out of the park without a plan, other than knowing that if I headed toward San Clemente there were a few State Parks on the shores where I could try and camp for the night.